A Van Air Europe Let L-410 on behalf of Trade Air, registration OK-LAZ performing flight C3-821 from Split to Dubrovnik (Croatia) with 7 passengers and 3 crew, landed on Dubrovnik’s runway 12 at about 12:45L (11:45Z) but touched down before the displaced threshold of the runway. The aircraft rolled out safely and became stuck amidst machinery and workers performing runway reconstruction work. There were no injuries, the aircraft did not sustain any damage. About 10 minutes later a taxi path was cleared for the aircraft and the aircraft was able to taxi to the apron. Croatia’s Civil Aviation Authority have opened an investigation. Trade Air confirmed their flight C3-821 landed on the closed portion of Dubrovnik’s runway, Croatia’s CAA is investigating. Fire brigades and ambulances responded and deployed to the aircraft, however, did not need to intervene. A short time later the aircraft was able to taxi to the apron, where the passengers disembarked normally. The aircraft had been leased in from Van Air Europe. Dubrovnik Airport is currently undergoing a major reconstruction project, the threshold of runway 12 was displaced by 1745 meters leaving 1425 meters of runway (TORA=TDA=ASDA=LDA=1425 meters) available. A Cathay Dragon Airbus A321-200, registration B-HTJ performing flight KA-854 from Hong Kong to Wuhan (China), was climbing out of the Hong Kong when the crew stopped the climb at FL170 reporting two of their Inertial Reference Systems (IRS) had failed and they were having navigation problems. ATC inquired whether they were able to follow vectors for the return to Hong Kong which the crew affirmed. ATC provided vectors for the return to Hong Kong, the aircraft entered a hold while the crew was working the related checklists and landed safely back on Hong Kong’s runway 07L about 40 minutes after departure. A replacement Airbus A321-200 registration B-HTI reached Wuhan with a delay of 3:15 hours. An Eva Air Airbus A321-200, registration B-16220 performing flight BR-797 from Kaohsiung (Taiwan) to Guangzhou (China) with 179 passengers, was climbing out of Kaohsiung when the crew received abnormal engine (CFM56) indications, stopped the climb at FL240 and returned to Kaohsiung for a safe landing on runway 09 about 40 minutes after departure. 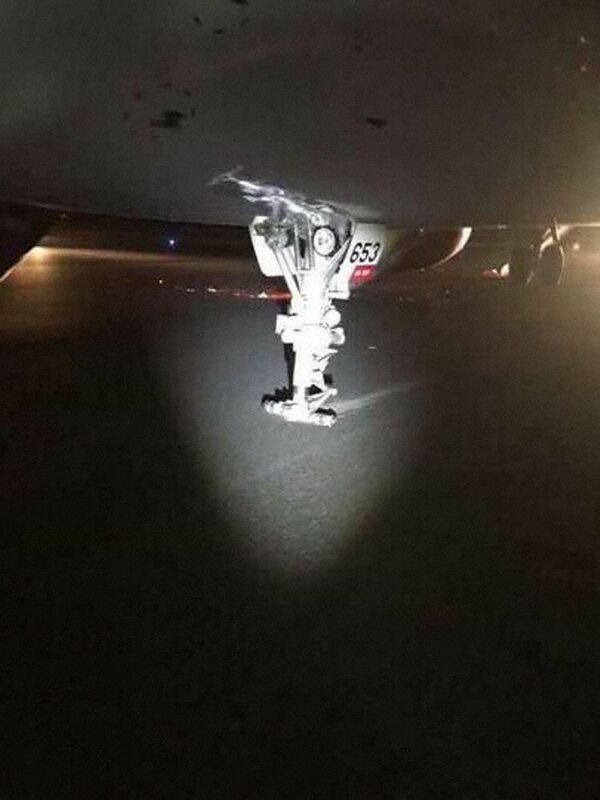 An Iberia Airbus A340-600, registration EC-IZY performing flight IB-6841 from Madrid,SP (Spain) to Buenos Aires,BA (Argentina), landed on Ezeiza Airport’s runway 11 but burst the forward outboard left main tyre causing damage to the gear door. The aircraft rolled out without further incident. A runway inspection collected a large piece of the tyre from the runway. The occurrence aircraft is still on the ground in Buenos Aires about 11 hours after landing. A Pegasus Boeing 737-800, registration TC-CPU performing flight PC-2248 from Istanbul Sabiha Gokcen to Bodrum (Turkey), was on approach to Bodrum descending through 5000 feet when the aircraft received a lightning strike prompting the crew to divert the aircraft to Izmir climbing to 14000 feet enroute. The aircraft landed safely on Izmir’s runway 34R about 25 minutes after aborting the approach to Bodrum. The occurrence aircraft remained on the ground in Izmir for 27.5 hours before returning to service. 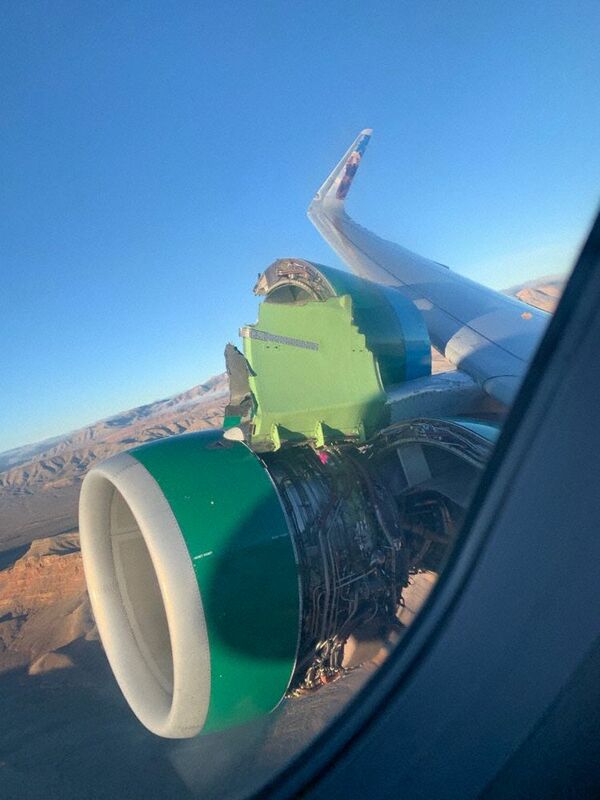 A Frontier Airlines Airbus A320-200, registration N227FR performing flight F9-260 from Las Vegas,NV to Tampa,FL (USA) with 166 people on board, was climbing out of Las Vegas’ runway 26R after being handed off to departure, when the crew reported cabin crew reported they got some problem with one of their engines (CFM56), flight attendants saying there was some fire. Departure responded tower just observed the right hand engine cowl was open. The crew declared emergency and requested to return to Las Vegas. The next departure on runway 26R reported there was some large foreign object debris (FOD) on the runway. The A320 landed safely back on Las Vegas’ runway 26L about 15 minutes after departure. The airline reported the engine cowling came loose and separated from the aircraft. A VietjetAir Airbus A321-200 Neo, registration VN-A653 performing flight VJ-356 from Ho Chi Minh City to Banmethuot (Vietnam) with 207 people on board, landed on Banmethuot’s runway 09, however, both nose wheels separated from the nose gear strut causing the aircraft to skid to a halt on the runway about 1200 meters/3900 feet down the runway at about 23:00L (16:00Z). The aircraft was evacuated via slides. Six passengers received minor injuries as result of the evacuation and were taken to local hospitals. 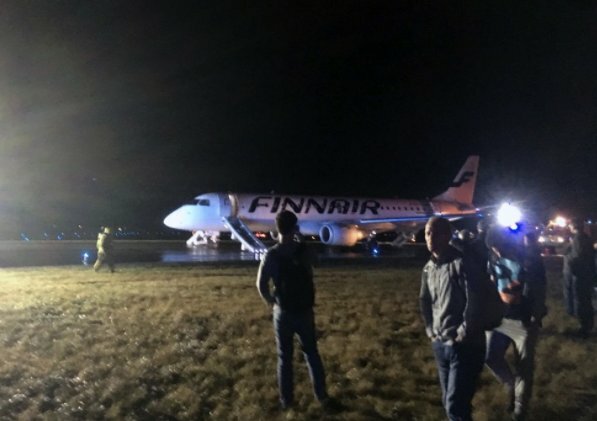 The airline reported the aircraft suffered technical problems after landing, a few passengers needed to be taken to a hospital for examination and have already been discharged. The aircraft had been acquired only two weeks ago. Authorities and Industry Units have opened an investigation. A Qatar Airways Boeing 787-8, registration A7-BCH performing flight QR-24 from Manchester,EN (UK) to Doha (Qatar), was enroute at FL390 about 180nm northwest of Vienna (Austria) in Czech Airspace when the crew received a left hand engine (GEnx) fire indication, worked the related checklists while drifting the aircraft down to FL240 and decided to divert to Vienna where the aircraft landed safely on runway 29 about 50 minutes after leaving FL390. Emergency services did not find any evidence of fire. Maintenance found the engine cowl was discoloured on the inner side, however, no soot or other evidence of a fire suggesting that hot gasses exited the engine at a location where they were not supposed to occur. The engine needed to be replaced. The aircraft is still on the ground in Vienna about 88 hours after landing. A Cessna 525A CitationJet CJ2+ was destroyed when it impacted a wooded area neear Memphis, Indiana, USA. All three occupants suffered fatal injuries. The aircraft took off from runway 36 at Jeffersonville-Clark Regional Airport, Indiana, USA 11:24 hours local time. Contact with the flight was lost about four minutes later. 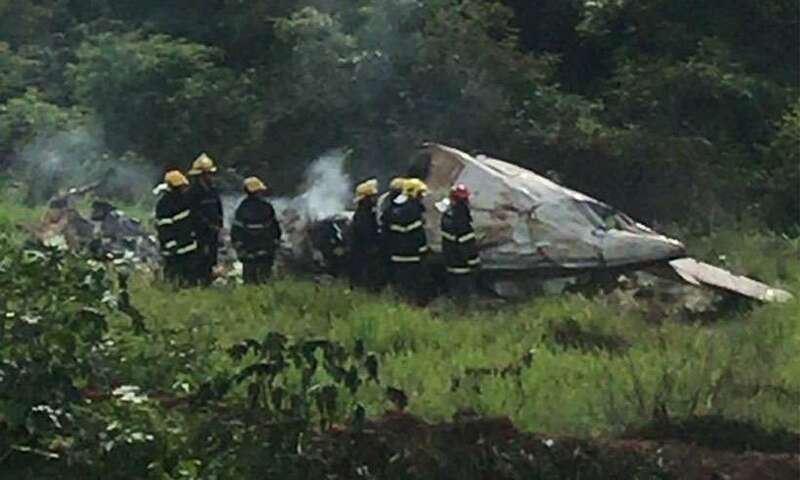 The aircraft was found to have crashed, leaving a trail of small debris, as well as blackened trees at a distance of 12 km north-northwest of the airport. The aircraft experienced a loss of directional control and subsequent runway excursion upon landing at Fargo-Hector International Airport (KFAR), North Dakota, USA. The airplane sustained substantial damage and there were no reported injuries to the occupant(s) onboard. The Citation M2 jet, registration PP-OEG, crashed during an attempted landing at a farm. On board were two passengers and two crew members. No survivors. The farm has a single 1200 m long asphalt runway (02/20). MUMBAI: The wing of an Air India aircraft carrying 179 passengers hit the wall of a building during taxiing at Stockholm’s Arlanda airport, prompting the airline to de-roster two pilots operating the flight and launch a probe, an official said Thursday. 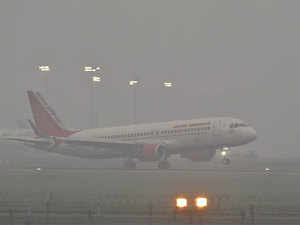 None of the people on board was hurt in the incident, an Air India official said. On Wednesday, the Boeing 787-8 (Dreamliner) plane had arrived from New Delhi and was taxiing to the gate when the tip of the left wing of the plane struck against the wall, he said. The damage to the aircraft was being assessed, he added. “Air India has derostered the two pilots who were handling the flight — the commander and the first officer — pending investigation,” said the official. The probe into the incident is still on, the official added. The flight AI 167 had departed at 0239 hours from New Delhi and landed at Stockholm at 0530 hours (local time), according to the live flight tracking portal FlightRadar 24. Last month, the wheels of a Boeing 737 plane operating Air India Express flight to Dubai from Trichy had hit the perimeter wall of the airport during the take off but continued for its destination for nearly four hours. It was however, diverted to Mumbai after officials at the Trichy airport reported the matter to pilots that the aircraft might have come in contact with the wall. BOSTON – A full-sized suitcase triggered an alarm at Boston Logan International Airport over the busy travel weekend, and the cause for concern was a little out of the ordinary. Transportation Security Administration agents came across a smoking suitcase. Yes, a large suitcase with smoke pouring out from the seams. 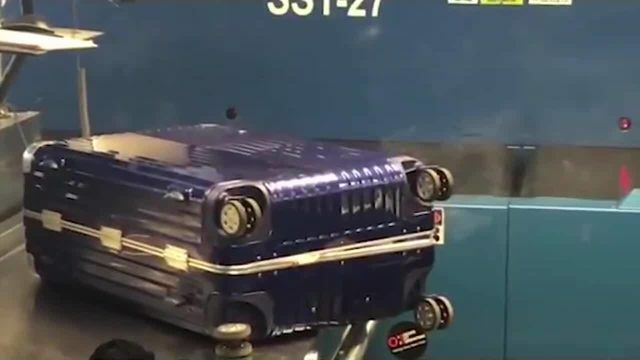 According to TSA’s office of public affairs, the packed, blue plastic roller-bag had smoke rising out of it and caused chaos in the checked baggage screening room. The area had to be evacuated for nearly an hour to allow State Police and Port Fire & Rescue teams to check the suitcase for explosives. It turned out that the smoking suitcase was triggered by a lithium battery inside an e-cigarette. The TSA added that the incident took place during the record-setting Thanksgiving travel period when they screened 56,686 passengers plus their checked and carry-on bags. The smoking suitcase belonged to a passenger who was flying to Kansas City. He was quickly contacted by authorities and his flight was delayed until the situation was cleared. The TSA said it is focused on making sure nothing catastrophic occurs on an airplane, and so of course — a suitcase that has smoke emitting from it is definitely suspicious. After takeoff, the flight crew noticed oscillations in the pressurization system and received an indication of a fault in automatic pressurization control. Soon afterwards, they smelt smoke, and the captain decided to return to Helsinki. 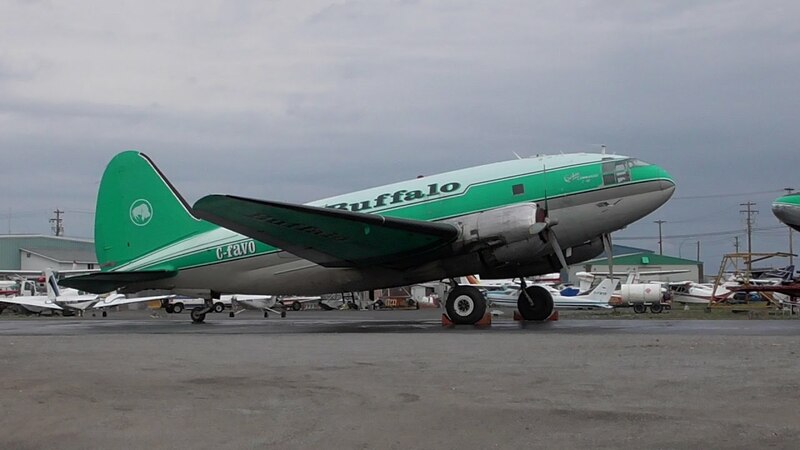 The chief of cabin notified the flight crew of smoke and “burning smell” in the cabin. Upon receiving is information, the captain declared emergency. Shortly afterwards, a PACK 1 FAIL message displayed, indicating the failure of one of the airplane’s two air conditioning packs. The captain actioned the appropriate checklist, and the flight crew elected to divert to Turku. Since smoke was also evident in the cockpit, they donned oxygen masks. One of the two cabin crew members attempted to don protective breathing equipment (PBE) but was unable to open the protective bag. Tests also showed that a pull of approximately 25 kp would have been needed to open PBE bags. The task would have been easier had the bags been modified according to the manufacturer’s non-mandatory service bulletin. Difficulties in the opening of a bag may jeopardize a crew member’s life and health. Editors Note: FSI’s article last week by Captain Shem Malmquist about hard limits on jet engines (republished below) has prompted response from pilots, manufacturers, regulators and airline officials around the world. Below he summarizes what the aviation community has to say about this promising idea. My previous article discussing limits on electronic engine controls elicited a number of very interesting responses that went into several different directions. I thought I might share some of these with you as well as some additional thoughts. Unless specifically authorized, I will not be including the names or affiliations of any of the commentators. The general concept I proposed was to eliminate the artificial limitations we have imposed on pilot ability to operate their aircraft. In that article, I highlighted the engines, which are limited to rated thrust in most circumstances. This is not just true for jet engines, and I have received several reports from pilots with stories of reciprocating engines being limited, as well as turboprops. Limiting inadvertent exceedances is a very good idea as it protected engine life. The concept of allowing for a way to exceed those limits in a controlled way in a dire emergency is what is being proposed. Most all pilots like the concept, although I must say the following from Graham Hamilton (HKG) was probably the best response! Yes, spot on! as a man who once went very close to ‘cooking the engine’ in avoiding a baboon on take-off in Tanzania, there is definitely a point where your knuckles need to go through the panel and pour as much fuel on the fire as you can – this might shorten or even ultimately destroy an engine but it might be saving the aircraft in doing so. …anecdotally ‘Engines can be replaced, that’s what insurance is for – no amount of insurance can replace a human being. One comment concerned the issue of pushing up the power with an engine inoperative and perhaps running into limits of controllability. There are two thoughts for this. First, in future designs (actually already done on some current production aircraft) the engine control could be integrated with the flight control system to limit the thrust as required to maintain control. For most aircraft it would fall to a training issue. One pilot suggested a three-tiered approach, where thrust would first just slightly exceed normal values, but if there really was no other option, then there would be a way to increase thrust even more. A system as simple as a breakable safety wire could be employed here. Historically there have been such mechanisms for military aircraft, and many corporate aircraft have a setup similar to the MD-11, allowing for some measured increase depending on circumstances. It is my opinion that software should still limit it at a point where immediate failure is a virtual certainty. Software can be utilized to vary this as required as engines age as well. Several pilots commented on envelope limiting. This is a bit more complex and potentially devolves into the “limiting” vs. “protection” debate. That said, my approach would be similar. We know the airplane should be good for 150% of the g-values, so we might design the flight control system to allow the nominal values to be exceeded up to the ultimate load limits when intentionally desired by the pilot (the algorithm could even include factors to reduce the ultimate load due to age of the aircraft and similar factors)? The same for pitch or roll. This is far different than the aerodynamic limits for, for example, stall, where the software can do a better job of putting us right on that thin performance line and holding us there. Real physical limitations are a good use for software protections as opposed to regulatory ones. So, in some respects the “hard limits” are better, but perhaps not in others. If it were up to me, I would borrow a bit from both philosophies. We still do need a way to give the pilot quick control if the system is incorrectly sensing an exceedance, however. The pilots need to be part of the “voting”, specifically both pilots should be, together. The reader is reminded that the second pilot is not onboard to be a “backup” for the other pilot, but rather due to the multiplying effect of a shared mental model. Two people working together is not just twice as good, but many times better. Exceeding normal limits, whether due to potentially bad data or a perceived need to “save the airplane”, should be a very deliberate action. A dual pilot action. The pilot flying should have to confirm with the other pilot, who then activates the ability to exceed a value. Yes, there might be some corner case where a pilot is incapacitated (or happens to not be available at that moment), but the risk of loss of control in general is certainly higher and, while it should be analyzed, it is my belief that leaving the ability to exceed normal values to a single person would add more risk than it reduces. While procedurally this is something that could be (and is often) done in any event through pilot announcements of intentions and pilot monitoring confirmation, there are too many cases where airplanes exceeded limits unintentionally while both pilots were attending to something else. A designed-in limiting feature is clearly supported by the data. Just having heavier control forces to exceed a value does not seem to be enough when it comes to pitch and roll. We still see unintentional excursions beyond those values. Adrenalin, perhaps? There may be many reasons, but that is not the point – the fact remains that it is happening. This brings me to the final aspect out of the comments, the arena of the use of automation and the concepts of automation dependency. It is my experience that we do not have a problem with pilots having the skills. Focusing on that will likely not change the accident rates. As I said in my previous article, it is my belief that pilot skill is no more of a factor now in accidents than it has ever been. Rather, we have a different problem, or perhaps, set of problems. One is that we have a situation of “too many cooks”, but it is worse than that, as one pilot said, it is not just “too many cooks”, but that the pilot is often not even aware that there are other cooks! There is more. In ASIAS data we see events that are not related to the pilot’s skill or background. Experienced pilots who have a strong military tactical and civilian background still find themselves in situations that conventional wisdom would say “only happens to inexperienced or weak aviators”. No, there is something else going on here and one that has, so far, defied conventional wisdom. Part of it is related to automation surprise, and the automation doing something different than what was expect. However, in many incidents, the automation is doing exactly what it is designed to do. It appears that the pilots became distracted in the task of trying to get the automation to do what the pilot wanted the system to do. This problem will need a new approach, one that has not been identified. The conventional wisdom is falling short. I cannot now locate it the citation, but the situation reminds me of reading what Dr. Richard Feynman described in explaining why he believed most Nobel prizes were awarded to people who had done the seminal work and discoveries in their 20s. AS I recall, Feynman believed that they had not become “set in their ways”, so to speak. They did not just accept things as true, but were willing to challenge assumptions. We need that now. Perhaps we should turn to those researchers in their 20s who have not become set in their ways of thinking. Finally, as reported in the Wall Street Journal and other publications concerning the Lion Air accident and MCAS, there is quite a bit of difference between training manuals and guidance between different operators and between different countries, “At least one European 737 MAX operator said it was briefed on the MCAS system before delivery of the plane. In regulatory documents, Brazilian authorities identified MCAS as a system that differs on the 737 MAX from earlier versions.”[i] It is interesting that the Brazilian authorities took a different stance. While I have no way of knowing how that came about, it occurs to me that, in general, it would be beneficial for each country to take a more critical view of aircraft design features. There are too many states that defer to FAA and EASA and just, essentially, rubber stamp their findings. As good as FAA and EASA are, the diversity of perspectives by having higher scrutiny from agencies around the world, each bringing their own cultural perspective to the problem, might just capture things that would otherwise be missed. Now that I have gotten all the OEMs mad at me, I should add that the benefit of this would be reduced liability. A bit more pain on the front end but the pay-off is potentially huge. Preventing is the vaccine – reaction is the anti-biotic. We need both. This applies to all aspects of this problem. WHY DO WE NEED HARD LIMITS ON JET ENGINES? We make a number of assumptions about automation, the good, the bad and the problems. I believe that it is time to put some of these to rest if we are to actually prevent future accidents. It is time for a new paradigm in how we think about automation and the types of problems that result from it. In this article I will challenge a number of assumptions that have been stated so often they are now accepted as fact. Software design has absolutely led to accidents, just perhaps not in the way most people think. Many (most?) have been missed entirely even after accidents. This article will highlight one such designed-in risk factor and offer a solution to that issue. While the October 29 Lion Air 610 accident investigation runs its course, the release of the FAA Emergency AD immediately following the crash has opened up valuable new discussions on the role of automation. The industry is being forced to recognize that when modern airplanes crash the problem is not necessarily lack of airmanship, commonly referred to as “automation dependency,” but rather the opaqueness of the actions and logic of the automation itself. Perhaps it is time to revisit commonly held assumptions such as “automation dependency,” which essentially blames the pilot and implies pilots are complacent and, instead look at the assumptions underlying the automatic systems themselves. The AD issued in the aftermath of the Lion Air 610 accident highlighted how the loss of a sensor for an advanced system can create very difficult scenarios. Consider the 2008 case of Qantas 72 (an Airbus A330). Here a faulty angle of attack (AoA) sensor led to the aircraft envelope protection (limit) feature attempting to prevent what the computer’s process model saw as a stall condition by rapidly lowering the aircraft pitch. Similarly, on November 5th, 2014, a Lufthansa A321 experienced a wild ride following a physical problem with the AoA probes. In another event, a Boeing 777 experienced some extreme pitch gyrations on August 1st, 2005, as a result of an erroneous angle of attack sensor, as reported by the Australian Transport Safety Board (ATSB)[i]. None of these were related to pilot competency in hand-flying. In fact, all three would have been much worse if pilots were not on board to save the day. The focus on “stick and rudder” skills and worrying about automation dependency has been repeated so often that we accept it at face value. We emphasize the need to hand-fly more. Now, don’t get me wrong. I love to hand-fly, and will often hand-fly the airplane below RVSM (reduced vertical separation minimum) airspace if the workload permits. The regulations limit my ability to hand-fly above RVSM (flight level 290) in general. As I don’t want to overload my first officer, I will couple it up when it’s busy, which is generally IMC, or operating in complex environments (ATC procedures, metric altimetry, etc.). However, as much as I enjoy hand-flying, is it really helping me to handle things when they go wrong? I am not so sure. First of all, I am flying the airplane in a normal state. The B-777, like other fly-by-wire (FBW) airplanes, has very consistent handling qualities. The pilot does not have to adjust for differences due to changes in CG, gross weight, flap settings, density altitude, q-factor, and a multitude of other factors that affect the way an airplane responds. FBW takes care of all that. It makes the airplane really easy to fly – as long as it’s working. Problems, such as an erroneous AoA signal can unexpectedly put the airplane in a degraded state. The handling qualities are going to be different, and, depending on the mode, the system may no longer be compensating for all those differences previously discussed. The pilot will have to do it, but is the pilot equipped to handle that, PLUS now having to hand-fly in a “complex environment”? What about those newer pilots that have little, or no experience hand-flying at the higher altitudes? The issue here is that arguing about pilots lacking the skills to handle the aircraft when the automation fails misses the point. Accidents are not occurring due to lack of pilot skill, or certainly not at any greater rate than they ever have. At the same time we have an argument rooted in a similar set of misconceptions, but this time from some pilots. These pilots argue that they need to exceed airplane limits to “save the day”. This debate about envelope limiting vs. protection is mostly an “Airbus vs. Boeing” debate. Both sides are wrong. As most pilots know, airplanes such as the Airbus FBW utilize “envelope limiting” while Boeing FBW utilizes “envelope protection”. Many anti-Airbus pilots will argue that they want to be able to exceed a limit in an emergency. I am not going to enter the debate on that directly, except to point out that in 30 years of operations with FBW Airbus with hard limits I know of no accident that could have been avoided if the limits were allowed to be exceeded. There are several known cases where the hard limits prevented an accident, however. Some will point to events such as the June 26, 1988, Habsheim, Air France A320 accident. A careful analysis of that event shows that allowing the pilots to exceed the pitch right into a stall (it was on the edge of a stall being limited from going further) would only have resulted in a very momentary “bump” in altitude, to be followed rapidly by a steep sink at a higher pitch attitude and rate into the trees. Not a great outcome, and it certainly would not have prevented the crash that actually took place. The story is similar on other events. Of course, on the other side, there have been problems as a result of envelope limiting, the Qantas 72 example previously mentioned is a good example of one, as was the Lufthansa A321 and there have been others! So the problem with “hard limits” on flight controls is not so much that they prevent pilots from exceeding them, but that they can take an action due to erroneous data or a missed assumption that the pilot cannot override without taking unusual steps. However, going back to the “hard limit” debate, we know that some pilots have been quick to want to exceed g-load, bank, pitch or angle of attack limits even though there is no evidence to support the need to do so. It is interesting to consider, then, that as far as I know, nobody ever has expressed concern about the digital electronic controls we use for all modern jet engines. Here is another example of conventional wisdom missing a larger potential issue. Whether we refer to it as FADEC (Full Authority Digital Electronic Control), EEC (Engine Electronic Control) or any other name, these systems limit the engines to maximum rated thrust. Apply firewall power (throttle against the stops) and the system will automatically limit it to maximum thrust, with some small exceptions. In the older engines with mechanical fuel control units we had to watch the throttle advancement to ensure we did not exceed any limitation, but it was also possible, in most circumstances, to shove the throttles forward to obtain 15% more thrust than the engine was rated for, or even more. Sure, that meant the engines might need to be inspected, or even trashed, but that thrust was available. Given the choice between hitting the ground or burning up the engines, I think all pilots would take the latter! Why has this issue not been raised? Habsheim. While the issue was not the pitch limit, as I discussed, 15% more thrust might well have saved the day. Asiana at San Francisco (2013). Adding 15% more thrust there may have been just enough to miss that 13 foot sea well. That’s right, just 13 feet, and in actual fact they probably just needed less than half that. American Airlines going into Cali (1995). The report stated that retracting the speed brakes would likely have prevented the accident. Would more thrust have been available at that altitude? Was there adequate spool-up time? You may be able to think many more examples that are better than these, but it is possible that quite a few accidents were the result of a design decision to create software that was more focused on extending engine life than saving an airplane in an extreme situation. To reiterate, I have not done any performance analysis on any of these. Those that worked performance for these accidents should have the data on a spreadsheet and it would not be hard to calculate. It might turn out that these three accidents would still have occurred regardless of the availability of extra thrust. Focusing on that would miss the point. Rather, the point is that there clearly are times when extra thrust would be a good thing, even at the cost of an engine. Examples are EGPWS escape, windshear escape, late recognition of impending CFIT, and many more cases. How might we design this? I would suggest looking at the MD-11, with its “FADEC bar”. It is a mechanical stop that, with an intentional extra forceful push, allows the throttles to move a bit more, a higher “throttle resolver angle” is fed into the electronic controller. The engineers were thinking correctly when they designed it. Unfortunately, the most it can do is revert the FADEC to an “alternate” mode, which essentially means that it is not relying on actual temperature and pressure, but a “default” setting. Pushing through the FADEC bar will never result in a decrease in thrust, but could potentially increase thrust up to as much as 10%. The key word here is “could”, because depending on the actual conditions, it may already be as high as it will get. I am proposing a system like the “FADEC bar” that allows us to truly increase thrust, beyond the engine design limits. An extra 15% or more, perhaps much more. I want the ability to intentionally (and only with conscious action) push the engines well above the design limits, risking catastrophic damage – as not doing so will likely destroy the engines along with the rest of the airplane anyway. What about the engine acceleration (spool-up) profile? Could that also be modified to allow for more rapid possible acceleration under dire circumstances? While my inclination is that the spool-up time is probably a physical limitation, it does not hurt to ask the question. There has never been a better time to start thinking about improvements to design that would afford pilots more control when they actually need it. Operating right up to the limit on angle of attack and stopping it there is an excellent use of automation where a human is just not going to be able to gain more performance, but adding in a limit that only protects the design limits is a different story. I’d also like to hear from pilots that do not like “hard limits.” Are you satisfied with engine systems that limit you artificially? Qazaq Air passed the IATA Operational Safety Audit (IOSA). Qazaq Air is a Kazakh airline, based at Almaty International Airport. It started operating flights in 2015 and currently uses 3 DHC-8-Q400 aircraft on domestic flights. Vietnam’s Ministry of Transport has ordered the Civil Aviation Administration of Vietnam to investigate the incident and check other planes to prevent similar issues. HANOI – Two foreign pilots of the VietJet plane whose nose wheels flew off as it landed last week have been suspended, pending investigations. The Civil Aviation Administration of Vietnam (CAAV) said on Sunday (Dec 2) that it has confiscated the pilot licences of a Filipino pilot and his Spanish co-pilot while investigating the incident, VN Express reported. VietJet Air, for its part, said that it has suspended the two pilots, but did not reveal their names. Starting on Monday, a CAAV investigation team and Airbus specialists will decode the black box of the Airbus A321 which budget carrier VietJet received from the France-based Airbus two weeks ago. French investigation authorities will oversee the process, the report said. Vietnam’s Ministry of Transport has ordered CAAV to investigate the incident and check other planes to prevent similar issues. The nose wheels of the domestic Flight VJ356 from Ho Chi Minh City to Buon Ma Thuot Airport in the Central Highlands flew off while landing last Thursday evening, injuring six passengers. VietJet said all passengers were safe, with some slightly injured and immediately taken to hospital but since discharged. The Civil Aviation Authority of Vietnam said six passengers were injured. The 207 passengers on board had to leave all their baggage behind and escape the plane through emergency doors. 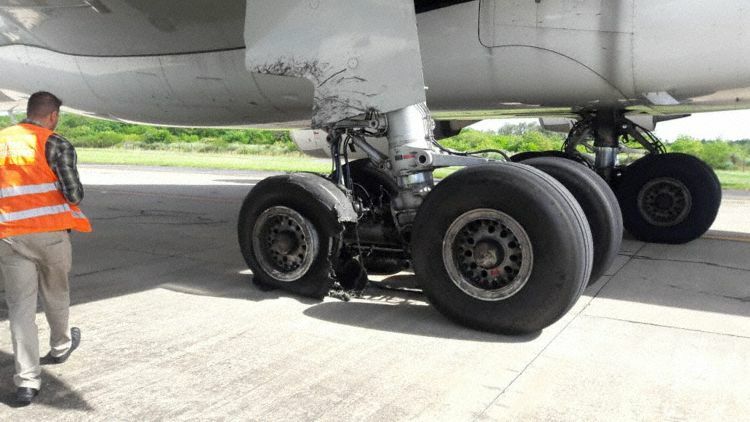 The authorities found one wheel in the airport last Friday and the second on Sunday morning, VN Express reported. As Boeing Co. was developing its latest version of the 737 airliner, it discovered the design was slightly more prone to a loss of control. So the company added a computer-driven safety feature – one that is now a focus of the investigation into a fatal crash last month near Indonesia. If preliminary findings are borne out, the Oct. 29 crash of the Lion Air 737 Max 8 may end up being one of a number of cases in which the cockpit automation that’s made flying safer also had the unintended consequence of confusing pilots and contributing to tragedy. For decades, planemakers have been adding automated systems to help pilots set engine thrust, navigate with higher precision and even override the humans in the cockpit if they make mistakes. Airline disasters have become increasingly rare as a result, but automation-related crashes have become a growing share of the few that continue to occur, according to government studies and accident reports. A 2013 report by the FAA found more than 60 percent of 26 accidents over a decade involved pilots making errors after automated systems abruptly shut down or behaved in unexpected ways. For example, pilots on Air France Flight 447 inexplicably made abrupt movements and lost control of their Airbus SE A330 over the Atlantic Ocean in 2009 after they lost their airspeed readings and the plane’s automated flight protections disconnected. All 228 people on board died. The U.S. National Transportation Safety Board concluded that pilots of an Asiana Airlines Boeing 777-200ER that struck a seawall in San Francisco in 2013 while trying to land, killing three, didn’t realize they’d shut off their automatic speed control system in part because it wasn’t properly documented. Pilots on Lion Air Flight 610 were battling multiple failures in the minutes after they took off from Jakarta on the early morning flight, according to Indonesia’s National Transportation Safety Committee. The pilots had asked to return to land as they dealt with the issues, but plunged into the Java Sea at high speed before they could get back, according to investigators. All 189 people aboard were killed. Data from the recovered flight recorder shows that the Max’s new safety feature, known as Maneuvering Characteristics Augmentation System, was triggered. An errant sensor signaled that the plane was in danger of stalling and prompted the MCAS to compensate by repeatedly sending the plane into a dive. The pilots counteracted it repeatedly by flipping a switch to raise the nose manually, which temporarily disabled MCAS. The cycle repeated itself more than two dozen times before the plane entered it’s final dive, according to flight data. This occurred as multiple other systems were malfunctioning or issuing cockpit warnings. Most notably, the cockpit was permeated by the loud thumping sound of a device on the captain’s side of the cockpit known as a stick shaker, which is designed to warn the pilots they are in danger of losing lift on their wings. The stick shaker was erroneous too, prompted by the same false readings from the sensor. Boeing didn’t respond to a request for comment on its automation, but has previously stressed that a procedure that pilots train for should have overcome the malfunction. “Boeing is taking every measure to fully understand all aspects of this accident, working closely with the U.S. National Transportation Safety Board as technical advisers to support the NTSC as the investigation continues,” the aircraft maker said in an earlier statement. Airline accidents almost never occur from a single cause and preliminary information from the investigation suggests multiple factors were at work in the fatal Lion Air flight. While maintenance and pilot training may be found to be more significant, the underlying issue with an automation system behaving in unexpected ways puts the accident in a now-common category. Planemakers have been adding more automation to help pilots avoid errors as aviation technology has become increasingly sophisticated. At Airbus, flight computers oversee pilots’ control inputs on models built since the late 1980s and won’t allow steep dives or turns deemed unsafe. Boeing’s philosophy has been to leave more authority in the hands of pilots, but newer designs include some computerized limits and, like Airbus, its aircraft are equipped with sophisticated autopilots and systems to set speed during landings, among other functions. The new feature on the 737 Max family of aircraft was designed to address one of the most common remaining killers in commercial aviation. By nudging the plane nose down in certain situations, the MCAS software lowers the chances of an aerodynamic stall and a loss of control. Loss-of-control accidents killed 1,131 people from 2008 through 2017, by far the biggest category, according to Boeing statistics. This type of automation is credited with helping create the unprecedented safety improvements of recent decades, yet it hasn’t been perfect. Devices that offer relatively simple warnings of an impending mid-air collision, for example, have proven nearly fool proof. On the other hand, more complex systems that aid pilots but require human oversight have on rare occasions confused crews and led to crashes. It’s also important to keep in mind that issues with automation can be exacerbated by pilot actions, Cox said. “Often times, what we call an automation error is really a proficiency error or a lack-of-attention error, and not fundamentally a fault of the automation,” he said. Indeed, the pilots in the Lion Air crash didn’t follow an emergency procedure that could have deactivated MCAS and allowed them to fly normally, according to investigators. A different pilot crew the night before the accident had effectively shut off MCAS during an identical emergency and landed routinely. At least one reason that these type of accidents occur may have to do with how pilots’ manual flying skills atrophy as cockpits become more automated, according to a 2014 study by NASA research psychologist Stephen Casner. While basic tasks like monitoring instruments and manually controlling a plane tend to stay intact in the automated modern cockpit, the study found “more frequent and significant problems” with navigation and recognizing instrument system failures. A different study by Casner and others in 2013 found a similar issue: flying has gotten so safe that pilots don’t experience emergencies much during regular operations, if at all. That is good news in the main, but it means that crews also aren’t as prepared. The study suggested that airlines devise more realistic and complex training scenarios, and that they give pilots more practice reacting to emergencies that occur while automation is off. “Where novices are derailed, discombobulated or taken by surprise when problems are presented under novel circumstances, experts characteristically perform as if they have ‘been there and done that,’ ” the authors said. Dec 2, 2018-The European Commission (EC) has continued its ban on Nepali airlines for five consecutive years through an updated “EU air safety list”. In the updated list published on November 28, the EC states that Nepali carriers do not meet the international safety standards and are therefore subject to an operating ban or operational restrictions within the European Union. In December 5, 2013, the EC had imposed a blanket ban on all airlines from Nepal from flying into the 28-nation bloc. Following the update, a total of 115 airlines are banned from EU skies. 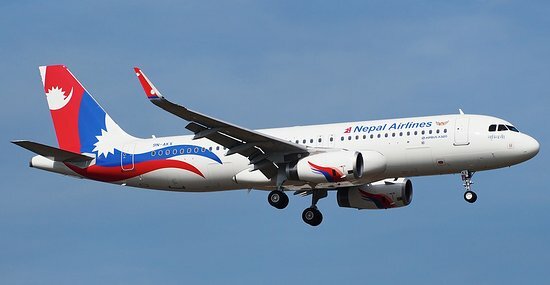 The EC had agreed to send a technical team to Nepal in September to evaluate the status of Nepali airlines and their improvement towards safety. The group was expected to prepare a field report and submit it to its technical committee meeting in November to decide whether Nepal should be removed from the air safety list. He said that CAAN had sent all the documents to satisfy the concerns of the EC with evidence regarding the improvements Nepal has made to address air safety deficiencies, but we have not received a reply yet. The airline industry fears that a continuation of the ban will hurt it, as they plan to extend their network to Europe. Lately, the EC had indicated that it is not happy with the Nepal government’s lack of progress on making a law to split the CAAN into regulatory body and service provider. said CAAN officials. The government has been working on the new law for the last nine years. In July 2017, ICAO removed the significant safety concerns tag it had put on Nepal four years ago. The 2017 audit gave Nepal a score of 66 percent for effective implementation of safety standards. To consult the list of banned airlines, you can download the full list of banned airlines. Southwest Airlines is activating a new safety feature in its Boeing 737 Max fleet after the Indonesian government identified issues with the Lion Air plane that crashed and killed 189 people. The government said there was an issue with the plane’s Angle of Attack (AOA) system, which wrongly caused the plane’s anti-stall system to kick in and push the plane’s nose lower, making it harder to control. It is not certain that AOA errors caused the crash, but it is a possibility. Southwest is now planning on activating an additional indicator in its Boeing 737 Max planes, which would alert pilots of erroneous readings in the system. Southwest Airlines is adding a new safety device to its fleet of Boeing 737 Max planes to avoid an incident like the Lion Air crash which killed 189 people in October. Southwest confirmed to aviation publication The Air Current that it will activate new Angle of Attack (AOA) indicators on its planes which will warn if the sensors are giving incorrect data. 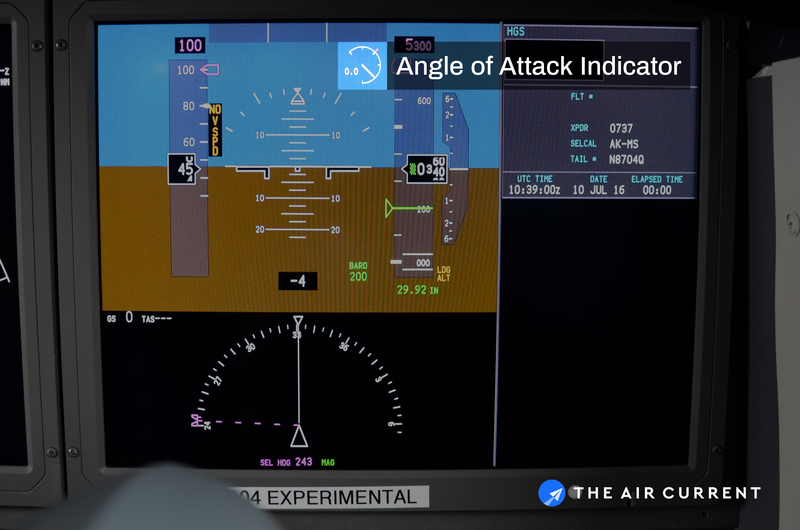 The indicator is an optional additional check on the aircraft’s AOA system, which senses the plane’s angle and pushes the nose of the aircraft down if it is pointing too high. The system is design to prevent the plane from stalling. However, if the system malfunctions it can push the nose down too far, forcing it into a dangerous dive which pilots may struggle to reverse. While Southwest did not mention the fatal Lion Air crash, Indonesian investigators have said that a fault with the AOA system in the brand new Boeing 737 Max 8 may have been why the pilot was left wrestling with the controls as the plane began to speed towards the sea. They said, however, that it is “too early to conclude” whether this issue with the system contributed to the crash. According to video and photo footage reviewed by The Current Air, Lion Air’s planes do not have the AOA indicators installed. US aviation groups, including the Federal Aviation Authority, say that Boeing didn’t tell them about new sensors in the automated anti-stall system that were added to their 737 MAX aircraft. Boeing issued a warning for its 737 MAX 8 and 737 MAX 9 airliners after the crash, and the US Government issued an emergency airworthiness directive. Southwest pilots were informed of the change this week, The Air Current reported. The change will begin with brand new planes from Boeing, which will come with the AOA device already installed, The Air Current said. Southwest is also expected to fit its existing 737 MAX planes with the device, according to the report. JOB MOVES AT FAA: Earl Lawrence is exiting FAA’s drone integration office to take the job of executive director of aircraft certification – a post left open by Dorenda Baker’s retirement this week. Lawrence will be in charge of implementing “the sweeping innovations in certification” required by the FAA reauthorization (H.R. 302 (115)), acting FAA Administrator Dan Elwell said in an internal message obtained by POLITICO. New drone chief: Jay Merkle from FAA’s Air Traffic Organization will be the agency’s new drone integration leader. The reauthorization also has a slew of provisions related to drones, and industry is awaiting rules from FAA on remote identification of the devices as well as flights over people, beyond visual line of sight and at night. In his note, Elwell called Merkle a “key architect” of the Low Altitude Authorization and Notification Capability system. New mission: Transportation Secretary Elaine Chao has tapped retired Brig. Gen. Wayne Monteith to be associate administrator for commercial space transportation. He was most recently the commander of the Air Force’s 45th Space Wing and oversaw commercial and government satellite launches at Cape Canaveral Air Force Station. Monteith starts his new job on Jan. 20, according to a statement from FAA. In February, the agency is expected to propose a rule to revamp its process for licensing rocket launches and reentries. Airbus’s A220 twinjet has been certified to a higher autoland capability by the European safety regulator. Both the A220-100 and -300 have been approved for low-weather minima autoland operations down to Category IIIa and IIIb. The introduction of the capability has been confirmed by the European Aviation Safety Agency’s latest revision of the type certification. Cat IIIa and IIIb approaches allow decision heights to be as little as zero, with specific minimum requirements for runway visibility. EASA has also formally amended the designation of the aircraft following Airbus’s acquisition of the CS100 and CS300 programmes from Bombardier. Bombardier had obtained EASA type certificate validation for the CS100 in June 2016 and the CS300 in October 2016. 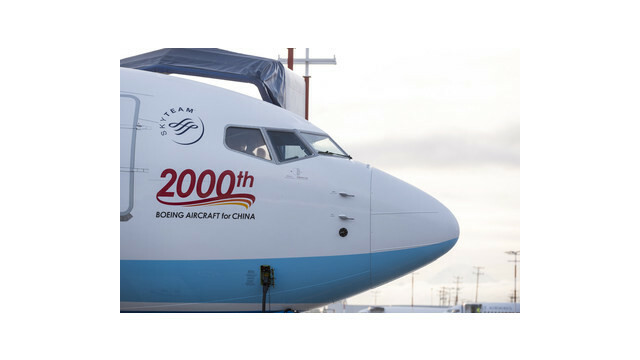 With the delivery of the new Boeing737 MAX8, Xiamen Airlines’ fleet now consists of 210 aircraft and becomes the largest all-Boeing fleet in China. As one of the first US-based companies to enter China, Boeing has, from day one, been committed to its partnership with the country’s civil aviation sector for over 40 years. In 1972, commercial airlines operating within the country placed their first order, 10 Boeing 707s, marking the start of the long-lasting partnership. Since then, Boeing has delivered thousands of new aircraft to Chinese commercial airlines. As the Chinese economy continues to grow, on the heels of the expansion of the national reform and opening up policy, China’s civil aviation has become one of the country’s fastest-growing industries. In 1978, Chinese airlines transported 2.3 million passengers. In 2017, the sector served 550 million passengers, 239 times the amount served in 1978 and representing 29 percent of the country’s total for all forms of mass transportation. Xiamen Airlines is the first Chinese carrier to adopt a market-oriented management model. The airline was founded in 1984. After 34 years of steady growth, Xiamen Airlines is now the fifth largest aviation group in China. It is often cited as China’s most notable success within the country’s civil aviation industry. The speed at which the airline grew is inseparable from the operation of its Boeing aircraft fleet. From the introduction of Boeing 737-200s and 737-300s in the 1980s, 757-200 in the 1990s, to the 737NG series just after the start of the new millennium, and followed more recently by the new 787 Dreamliner and 737MAX, Xiamen Airlines has worked closely with Boeing. Thanks to the excellent quality and performance of Boeing aircraft and the close cooperation between the two companies, Xiamen Airlines has maintained the longest profit record in China’s civil aviation industry, having stayed in the black for 31 consecutive years. 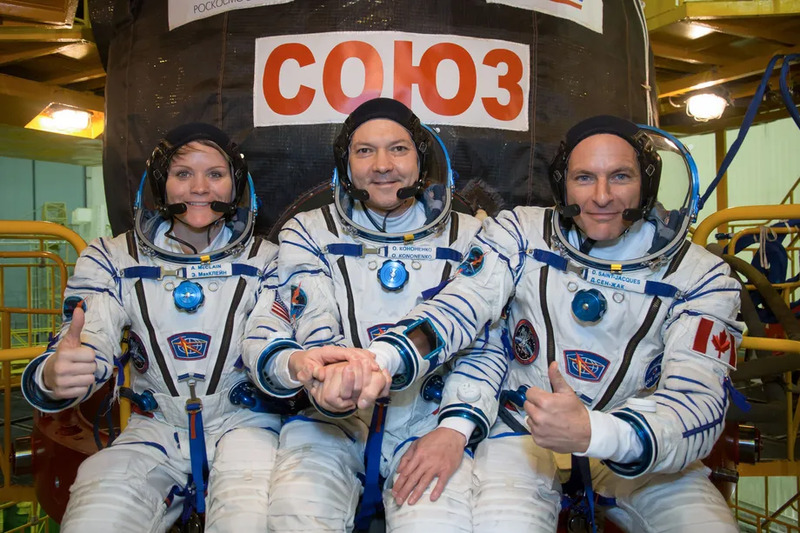 Their Soyuz spacecraft entered a designated orbit just under nine minutes after the launch and is set to dock at the space outpost in about six hours after making four orbits of the Earth. 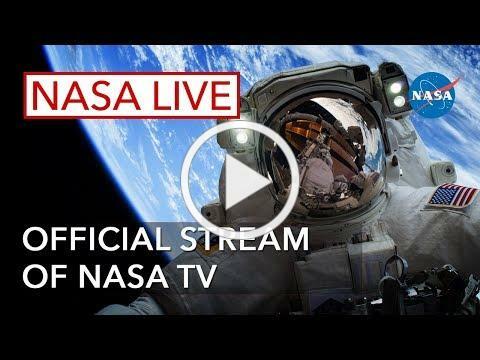 The families of the crew, astronauts and space officials from several nations breathed a sigh of relief Monday after observing the flawless launch, with October’s rocket failure still on the minds of many. A Soyuz-FG rocket carrying NASA astronaut Nick Hague and Roscosmos’ Alexei Ovchinin failed two minutes into its flight on Oct. 11, activating an automatic rescue system that sent their capsule into a steep ride back to Earth. A Russian investigation attributed the failure to a sensor that was damaged during the rocket’s final assembly. Flight Safety Information (FSI) Newsletter has been publishing timely aviation safety news for over 25 years. FSI has over 100,000 readers and 65,000 aviation subscribers on a globally basis. 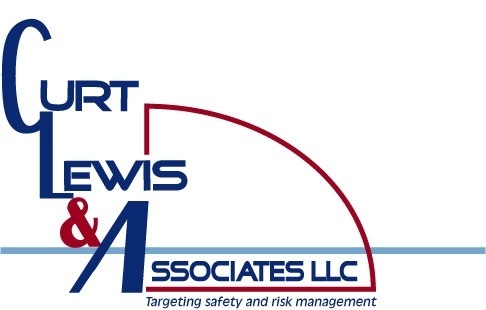 Curt Lewis & Associates, LLC is an international, multi-discipline technical, scientific and research consulting firm specializing in aviation and industrial safety. 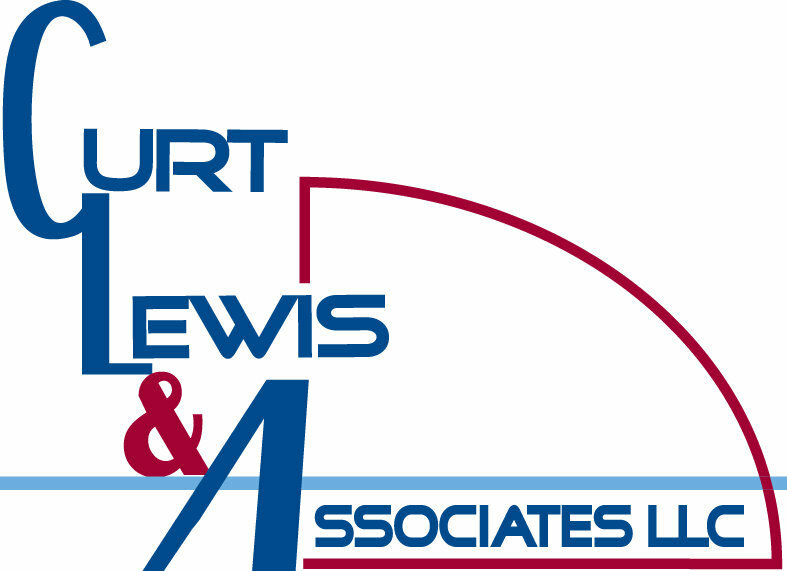 Our specialties are aviation litigation support (Expert Witness), aviation/airport safety programs, accident investigation and reconstruction, safety & quality assessments/audits (ISO-9001/AS-9100), system safety, human factors, Safety Management Systems (SMS) assessment/implementation & training, safety/quality training & risk management, aviation manual development, IS-BAO Auditing, technical writing & editing, airfield/heliport lighting products, patent infringement/invalidity expert testimony and Technical Support.